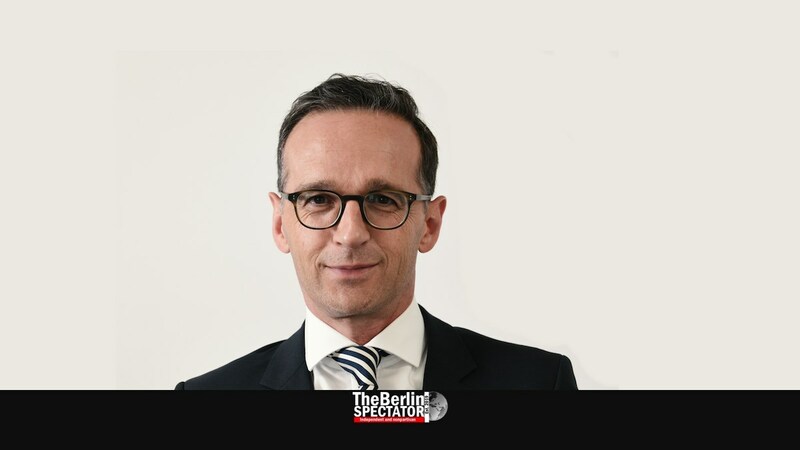 Germany’s Minister for Foreign Affairs, Heiko Maas, has criticized Russia for its role in a situation which could trigger a new arms race. “Moscow has developed and tested nuclear medium-range ballistic missiles. This constitutes a breach of the INF Treaty”, Maas said in a German-language newspaper interview. Maas, one of the Social Democratic ministers in Chancellor Angela Merkel’s grand coalition, said there would be less security without the INF Treaty. “We need a stable and broad arms control”, he stressed. INF stands for the Intermediate-Range Nuclear Forces Treaty, which was signed by U.S. President Ronald Reagan and the Soviet Union’s General Secretary Mikhail Gorbachev in December of 1987. It eliminates all nuclear and conventional short and mid-range missiles along with their launchers. Back then, the treaty lead to the destruction of thousands of missiles on both sides of the Iron Curtain. Chancellor Merkel blamed Russia as well. After a meeting with Armenia’s Prime Minister Nikol Paschinjan on Friday in Berlin she said due to the withdrawal from the INF Treaty announced by U.S. President Donald Trump, Germany would spare no effort to use the next six months for additional talks. Earlier today, U.S. Secretary of State Mike Pompeo had announced, America’s withdrawal would actually take place in six months from now. Russia’s cruise missile model 9M729 is the weapon which, according to the governments in Washington D.C. and Berlin, breaches the treaty. A few weeks ago, the United States had warned Moscow to abide by the treaty, and threatened to pull out of it otherwise. During the tensions of the Cold War, most European nations were glad to have the INF Treaty since it meant additional security in a world which had been on the brink of a thermonuclear exchange, meaning World War III, several times. One of the main problems is that missiles like the 9M729 can reach European targets within two to three minutes. The tensions with Russia have been increasing constantly since Moscow annexed Crimea. Russia has been provoking NATO by sending bombers to the edges the treaty’s airspace. All in all, observes have been talking about a new Cold War for years now.